Much of the damage we see in objects brought to our studio comes as a result of people using and enjoying the objects in their everyday lives. One of the things we see most frequently is a water stain from a plant being set on the object. Straightforward as this kind of damage can seem, it often introduces other problems, which we have to address before the object becomes completely unstable. The box had evidently been used as a pedestal for a potted plant over a long period of time. This left a huge water stain on the top surface. 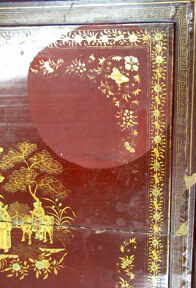 In addition to the water damage, there were numerous sections of lacquer that had separated from the surface (conservators call this delamination). Also there was a large split running the length of the box. These last two types of damage were the result of humidity fluctuations. 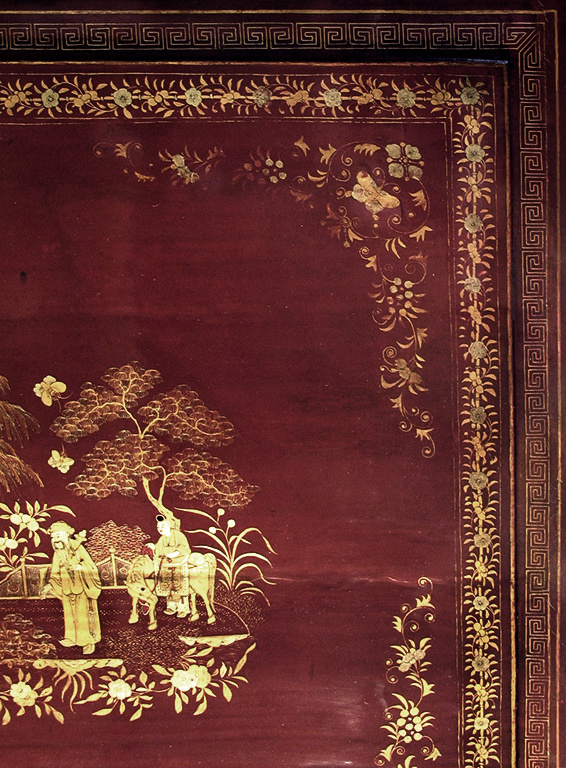 The first thing we had to do was stabilize the surface to prevent the loss of any more of the original urushi lacquer. 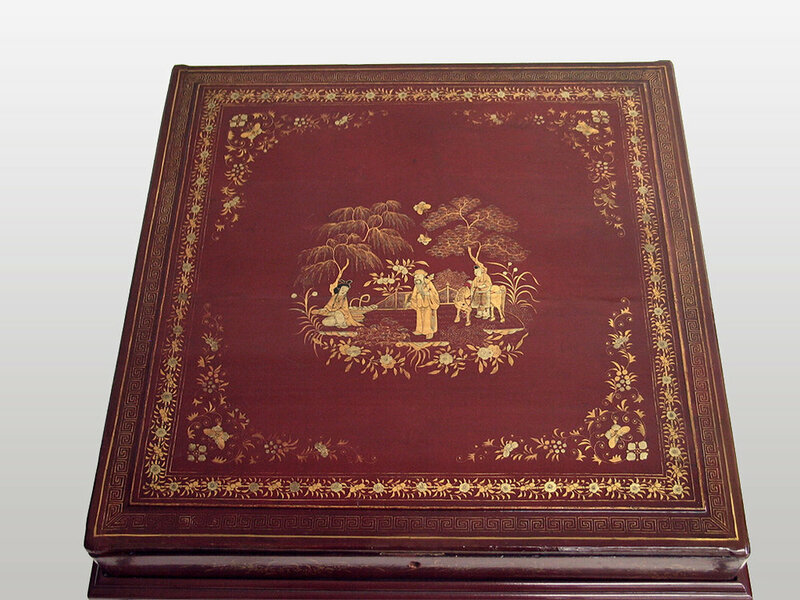 Cold fish glue was injected between the lacquer and the wood. Then we carefully clamped the affected sections to get proper re-adherence without tell-tale clamp marks. Next, we addressed the split by filling it with a flexible material that expands and contracts with changes in humidity. Our third step was to address the discoloration of the surface coating, which was done by careful spot cleaning. Fortunately we found that much of the visible surface coating came from an improper "restoration," which in this case actually protected the underlying urushi lacquer. Finally, we inpainted and ingilded using entirely reversible techniques. The conserved piece, minus its disfiguring water stain and surface split, still shows its fine patina of age, but it now looks as if it had not met with so many mishaps along the way.